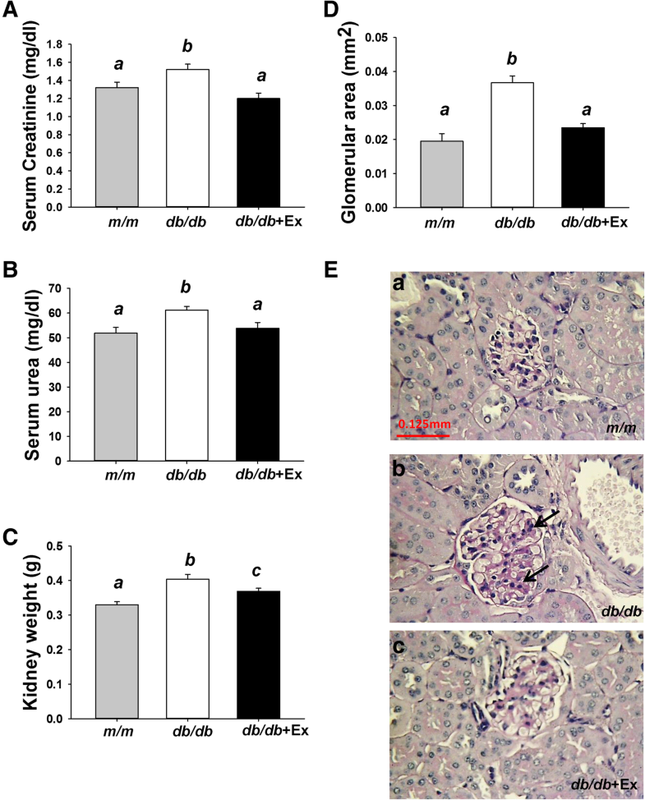 Diabetic animal models reveal protective effects of exercise in several tissues including kidney [9–12], liver , skeletal muscle [13, 14], and blood vessels , however protective effect of exercise dose not completely rely on its glucose-lowering effects. SIRT1 regulates metabolism and inflammation in various tissues  which can be the key regulator of exercise-mediated protection against diabetes at tissue level. 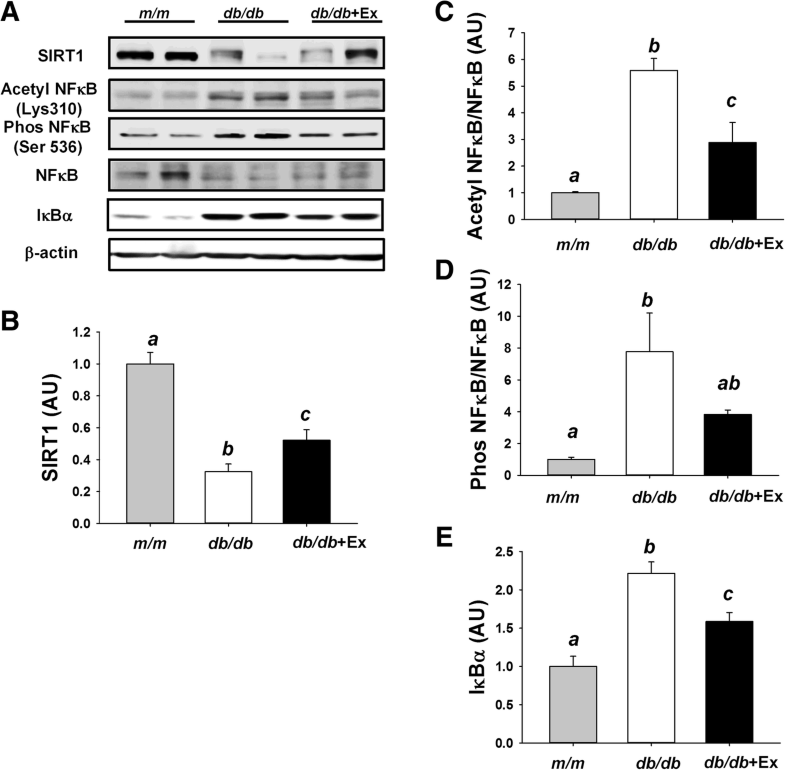 In addition to skeletal muscle , the protective effects of long-term exercise training in the regulation of inflammation and metabolic dysfunction via SIRT1 signaling pathway have been less investigated in peripheral tissues such as kidney and liver. 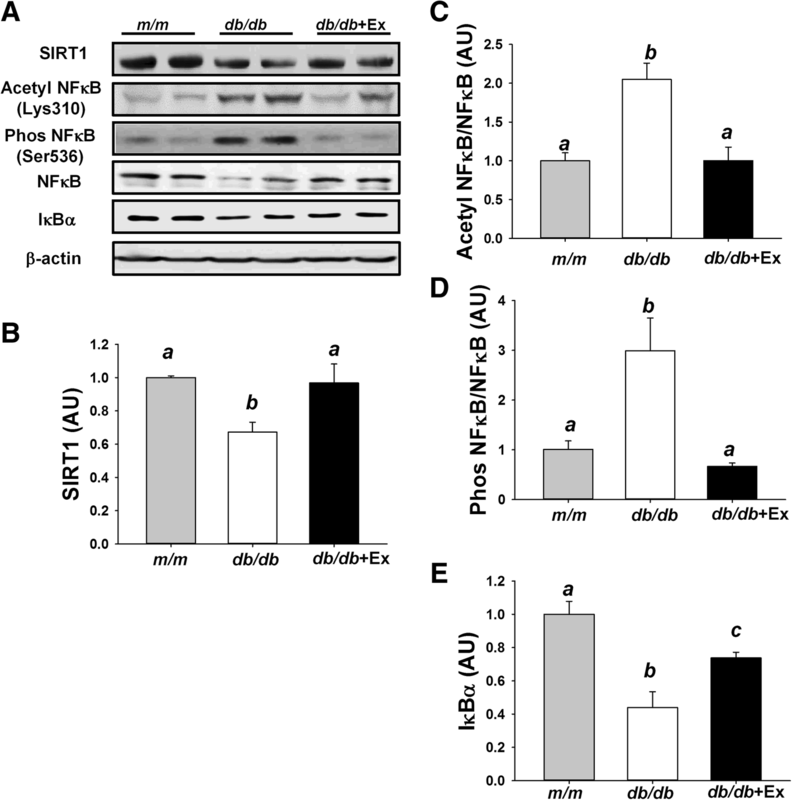 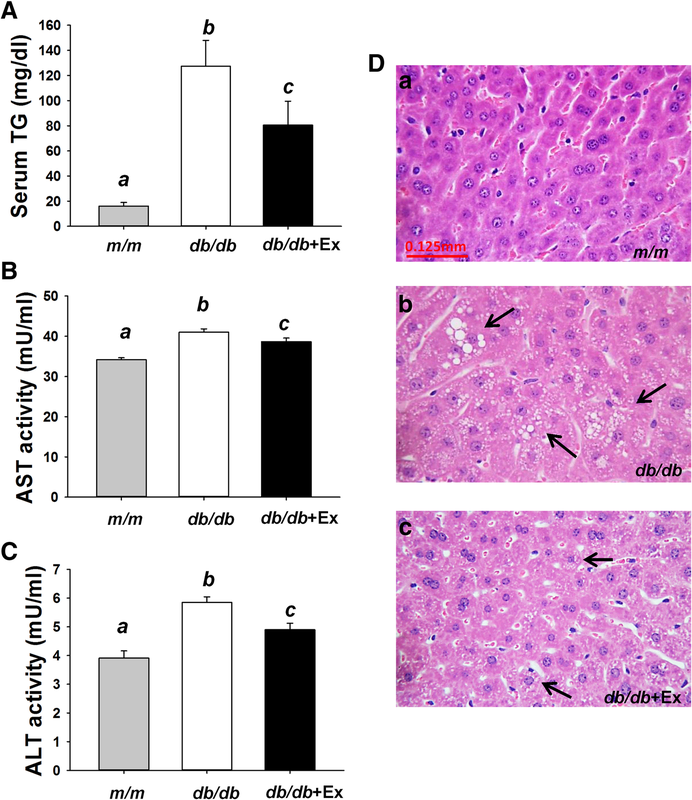 Obese diabetic db/db mice exhibit albuminuria, podocyte loss, and mesangial matrix expansion in kidney  along with hepatic lipid accumulation ; the mouse model is often used in T2DM research. 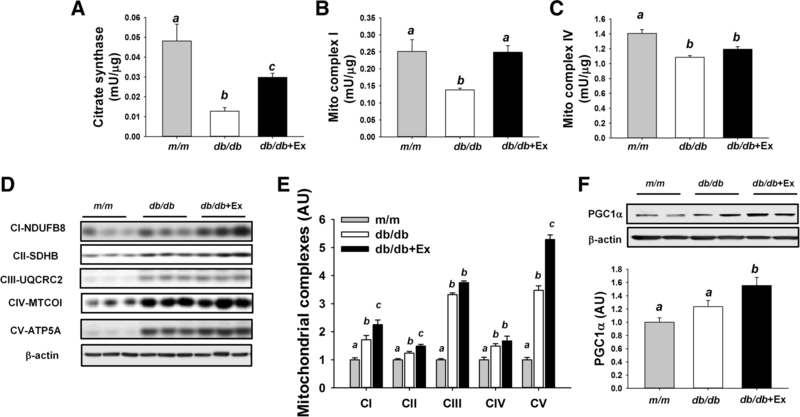 Treadmill exercise often used in animal models of obesity and diabetes, but intensive exercise may lead to unfavorable outcome . Elevated cortisol levels is associated with failure of glycemic control in diabetic db/db mice performed high intensity exercise (15 m/min for 30 min) . 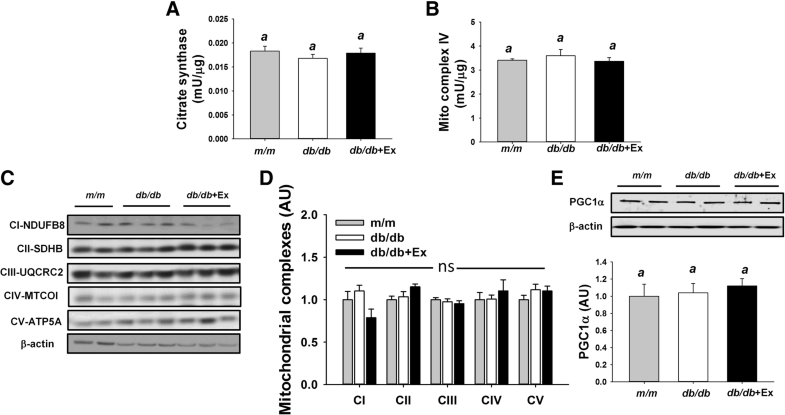 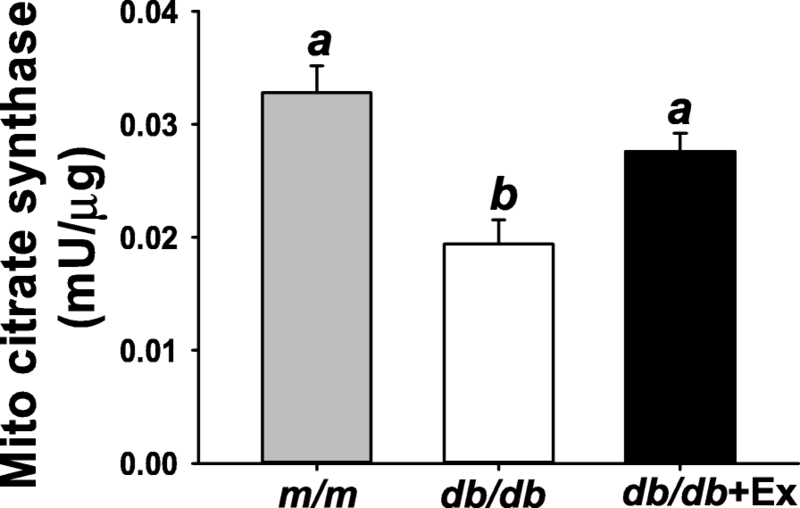 Low intensity aerobic exercise (5.2 m/min for 60 min) might be more appropriate exercise prescription than high intensity for diabetic db/db mice to reduce hormonal-metabolic stress [10, 14].